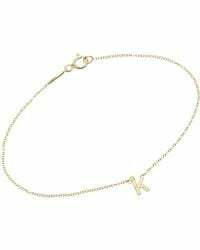 See more Jennifer Meyer Bracelets. We check over 450 stores daily and we last saw this product for $1,344 at Barneys New York. 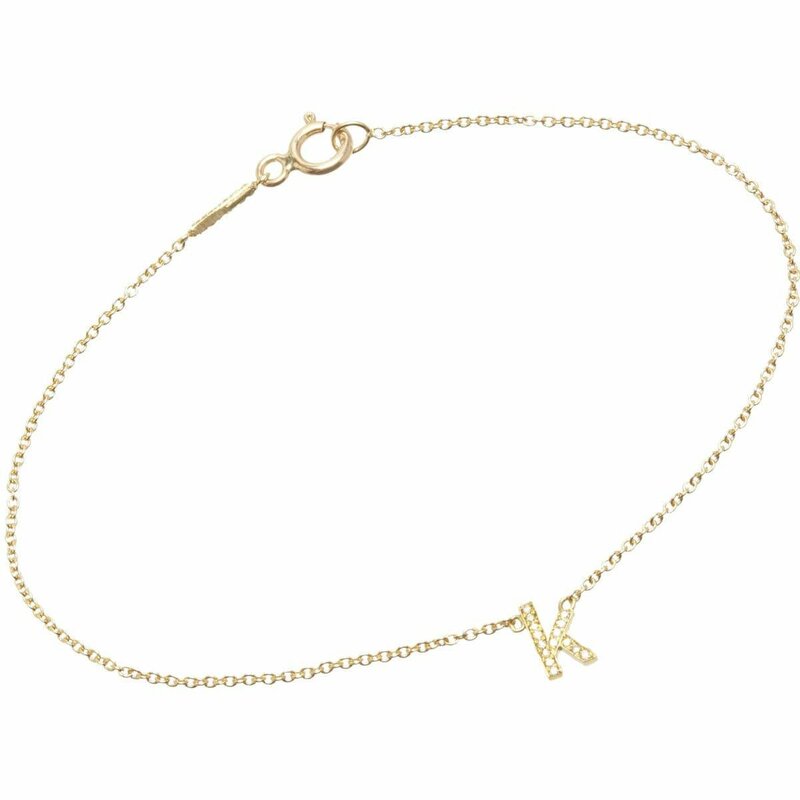 A petite pavé white diamond and 18k yellow gold "k" charm adds sparkle and texture to Jennifer Meyer's 14k yellow gold cable-chain bracelet. Handcrafted in Los Angeles, this delicate design is a signature style of the American jeweler. Handcrafted. Pavé white diamonds. 18k yellow gold. 14k yellow gold. 1mm band width, 16.5cm interior circumference, 5mm charm drop (approximately). Spring ring clasp.